I hope your holidays were filled with family, friends and some delicious food. We enjoyed a little bit of all of that ourselves, although it feels as though the whole season flew by too quickly. I was grateful to end the year spending time with our daughters who are home from college, catching a few movies including Joy (fun but not as good as I expected) and The Big Short (fabulous), finishing this beautiful book that my friend Marte recommended and starting this one. I also managed to clean out my closet (ya-hoo) and my pantry (long overdue) and spent lots and lots of time cooking. If you weren’t reading The Kitchen Scout a year ago, check out my first post of 2015 for my friend, Francine’s tips on how to restore yourself after the holidays. If you were reading a year ago, then you might remember my saying that I am not a big one for new year’s resolutions. But if I had to pick one thing for 2016, it’s that I will continue to increase the amount of plant based meals I am preparing at home. We have meaningfully moved that dial in the past couple of years and thankfully my husband is easy to please in the food department. But I am interested in exploring this way of eating in greater depth and experimenting with new plant based variations on old themes. I tried this recipe for Mushroom Bourguignon from Smitten Kitchen this past month and we didn’t miss the meat one bit. I am not planning to be a vegetarian or to make this a vegetarian blog – just challenging myself to think differently when it comes to meal prep. The first time I ever saw a blood orange was when I was a student in France. My French “mother” had a bowl of them sitting in our living room. One day I was home alone, and decided to eat what I thought was a typical orange. I remember opening up the orange fruit and being horrified by the color inside. What WAS this? I thought it had gone bad so I opened up another one with the same result. Now remember, I am not a youngster so this was well before fruits and vegetables were being exported around the world! I quit while I was ahead and later learned that these red hued beauties were appropriately named blood oranges. I have loved them ever since. This salad can be a luncheon item or served for dinner. We ate it both ways and at dinner added some freshly cooked scallops which I think complemented the citrus nicely. You could top this with whatever you like, including a drained and rinsed can of chickpeas for some added protein. The salad held up well the second day which is always a bonus. As with many of my recipes, it lends itself to substitutions. Instead of farro, use bulgur wheat or quinoa. A sliced red pepper can replace the fennel. Use walnuts instead of pistachios if that’s what you have on hand. And if you don’t have access to blood or cara cara oranges, then use navels! Enjoy and please let me know what you think in the comments! 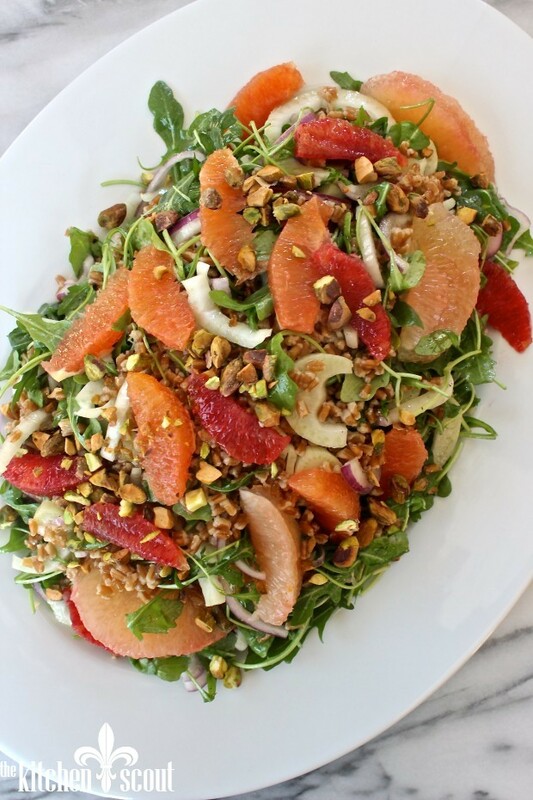 This bright and fresh salad is a meal itself or can be topped with your favorite protein. Seafood works especially well with the citrus flavors. Place the farro in a stockpot and add the stock or water. Bring the mixture to a boil and then turn the heat down to a simmer for 30 minutes until the farro is cooked through. 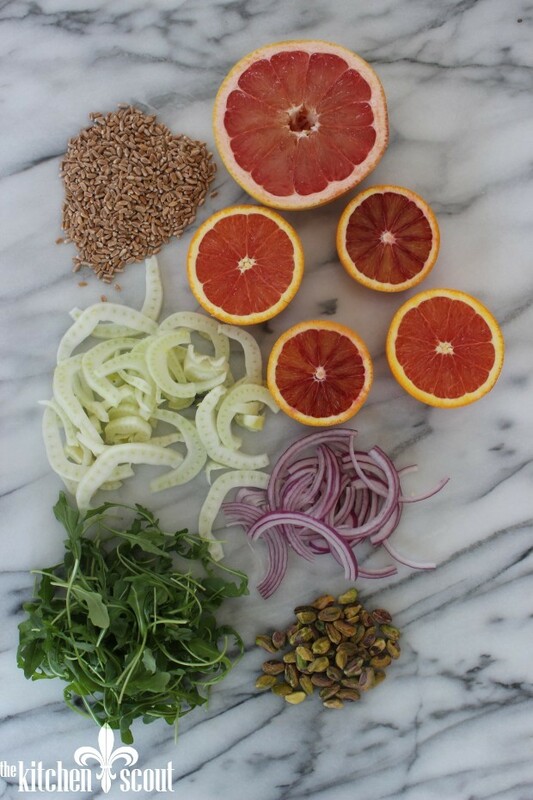 While the farro is cooking, cut the skin and pith from the oranges and grapefruit. Over a large bowl, first cut the oranges into segments (supremes) by slicing between the membranes (see Tips below). Squeeze out any remaining juice from the oranges and reserve in a separate bowl for the vinaigrette - you need about 2 Tablespoons. 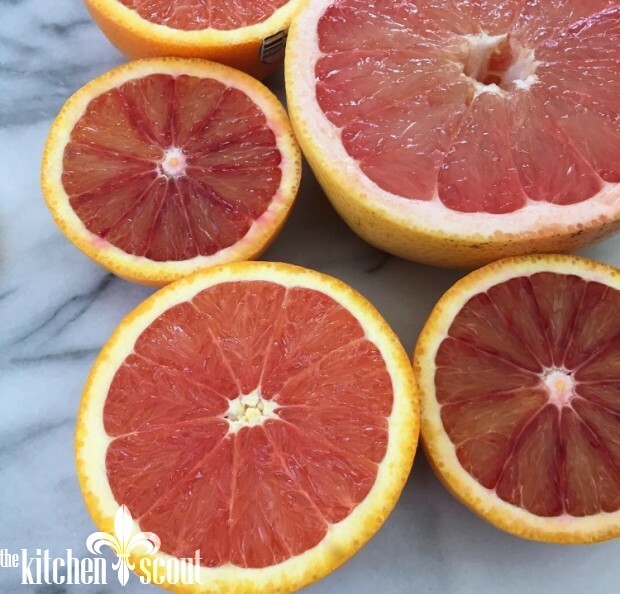 Then cut segments from the grapefruit and add to the bowl. Set aside. For the vinaigrette, add to the reserved 2 Tablespoons of orange juice the remaining vinaigrette ingredients (red wine vinegar to honey). Whisk and add kosher salt and freshly ground pepper to taste. When farro has finished cooking, drain of any remaining liquid and add to a large mixing bowl. Toss with just a little bit of the vinaigrette and allow to cool slightly. Add arugula, fennel and red onion to the farro. Add remaining vinaigrette and toss well. Add citrus fruit supremes and toss gently. Top with toasted pistachios and serve. If you need a visual on cutting citrus into supremes, there are lots of good videos online. Martha Stewart has a short video that is very straightforward on her website. I made this last night to rave reviews. Favors were unique. Really liked the fennel and citrus combo with the crunchy pistachios too. A keeper! Oh thank you, Natalie! I love that salad too. Glad you are enjoying the recipes! I made this last night for dinner, and it was great. The best news: it was even better for lunch today! The red onions were a tad strong last night, and the flavors mellowed and melded very nicely over night. As promised, the salad held up nicely for day two. When I make it again, I might make everything a day ahead, and add the arugula shortly before serving. Thanks, Val, for the terrific, fresh and delicious dish for a healthy new year! Sarah – thank you so much not only for trying it, but also for commenting and the feedback! I really appreciate when I hear from people who try the recipes, whatever the result! Don’t you just love the nutty flavor of the farro? So yummy. Happy New Year Val! This looks delicious. I’m going to try it one of the next two weekends! Ani – you have been on my mind! Let’s get together soon. Happy New Year to you too! The salad looks beautiful! I have to admit that I am a little hesitant to try to replicate it. Stay tuned. Also I liked the link to last year’s post holiday anti-cleanse message. Happy New Year Kitchen Scout. Thanks Linda and I hope you give it a try. A few steps but the ingredients make it beautiful! Glad you liked the link to last year – lots of good tips. Happy New Year to you too! 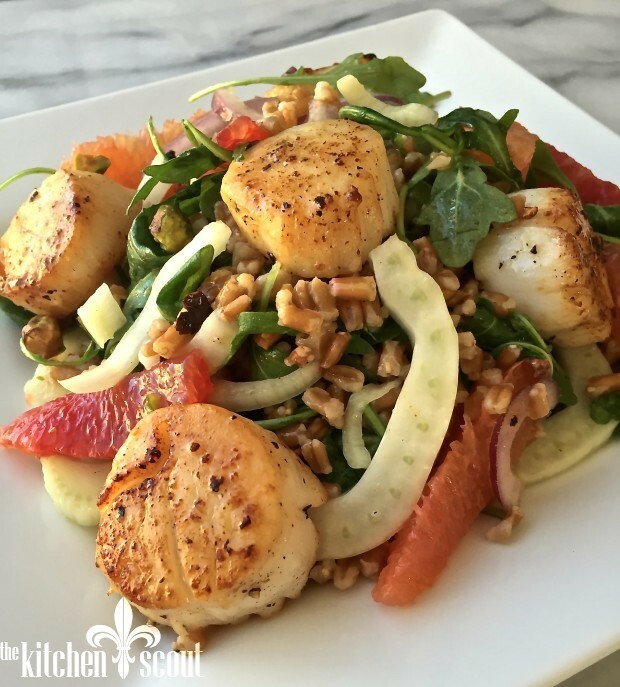 Can’t wait to try this delicious salad Val, it includes so many of my favorite ingredients! And btw, I have made Smitten Kitchen’s mushroom bourguignon and agree it’s delicious. Food 52s’ vegan sloppy joes with lentils? Meh! Thanks, Francine! Let me know how you like it. And I will stay away from those sloppy joe’s!! !